The deal Pajolek cited was FactSet Research Systems’ 173,164-square-foot lease at 45 Glover Ave. in Norwalk. That transaction involved the company’s relocation of its headquarters from the Merritt 7 office complex, also in Norwalk; FactSet is expected to move to its new space in the last quarter of 2019. The first quarter’s other two major deals involved Edgewell Personal Care’s renewal of its 55,186 square feet of space at 6 Research Drive in Shelton and Charter Communications’ 53,482-square-foot lease at 201 Tresser Blvd. in Stamford. Pajolek pointed out that these numbers were mostly responsible for the vibrancy of the first quarter’s leasing levels. “About 45 percent of activity involved three deals,” he said. “After those deals, it falls off pretty quick.” Indeed, the next largest leases were fairly modest in comparison: Computer Associates International’s 23,944-square-foot lease and Webster Bank’s 22,948-square-foot lease, both at 695 East Main St. in Stamford. 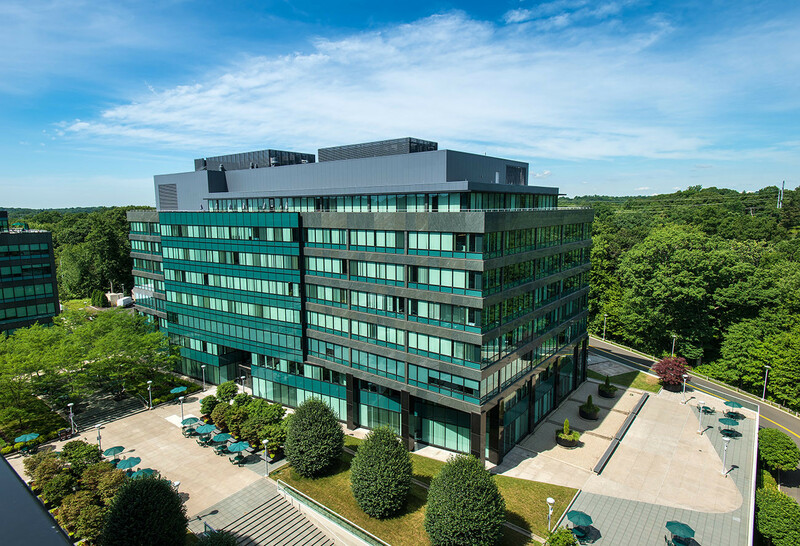 CBRE also determined that the overall absorption for Fairfield County’s office market ended at 44,383 square feet, with availability at 24 percent. Individual submarkets saw some movement: the Stamford CBD (Central Business District) fell 35 percent to 34.1 percent quarter-over-quarter while the Stamford NCBD (Non-Central Business District) rose from 26.1 percent to 29.8 percent; together, the Stamford submarkets posted roughly 144,000 square feet of negative absorption. In comparison, the Greenwich CBD recorded 37,000 square feet of positive absorption during the quarter, with an availability rate dropping from 21.3 percent in the fourth quarter of 2017 to 10.4 percent in the first quarter of this year. Availability in the Greenwich CBD has reached its lowest point since year-end 2008, according to CBRE, which noted this could encourage potential tenants to look for space in neighboring Stamford, where availability and comparatively affordable rents offer an attractive setting for office leasing.